The central govt. has pushing for providing better residential education and schooling to the students of the country. The Government in centre in partnership with the state governments is putting their best efforts to have more hostels in the schools across the country. 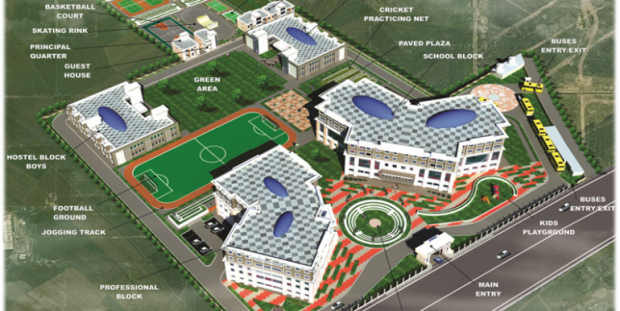 Several new key schemes to develop the hostel facilities of the schools are being introduced. Also the existing educational reforms schemes are being supported. Govt. and govt. aided schools, of both rural as well as urban areas are being modified under such schemes and more residential hostel facilities are being provided to the school students. Sarva Shiksha is a centrally implemented scheme in all the govt. schools across the country, specially putting its effort to restructure the primary education system in the country. Under this scheme, the KGBV scheme has been set up by the HR&D Ministry. Under this project, KGBV schools are being set up that is aimed to give residential schooling of upper primary level to the girls who belong to those identified blocks which are educationally backward, commonly known as EBBs. This scheme is very beneficial to the girls who want to have educations after being dropped out at primary or upper – primary level, earlier. The girls joining the KGBV schools for pursuing further educations are all aged more than 10 years. As per latest records of HR&D Ministry, a total of 3,599 KGBV schools have been already set up in the EBB areas across the nation. The RMSA is another educational scheme for promoting the hostel and residential education for the girl students of the nation. Under the scheme girls who are studying in Class IX – Class XII can avail hostel facilities and continue with their studies. Only girl students who are from SC/ST/OBC category, religious minorities and BPL families can apply for this scheme. Under this scheme, a total of 951 girls’ hostels have been set. School dropouts among girls from those categories are most in the country, especially in rural areas. Hence, this scheme will surely be a revolutionary step. In our country, a total of 591 JNVs are operational which provides hostel facilities to its students. As per records of HR&D Ministry, nearly 2.5 lakh students are getting hostel facilities from JNVs and are getting quality school education. The main motto of JNVs is to educate the students belonging to rural areas and providing them the best education from the classes of VI – XII. The Ministry for the development of tribes in the country has three such operational schemes to provide better hostel facilities to the tribal school students of the country and give them better educational opportunities. These schemes are supported and funded by the central govt. This technique will surely help reducing the menace of school dropouts in the country among the tribe communities. Several schemes like the BJRCY scheme have been operational to construct more hostels for the school students of SC and OBC categories, for both boys and girl students. For the minority, a separate scheme named MsDP is functional by the Minority Affairs Ministry which aims to reduce the school dropouts of minority students and provide then quality education and hostel facilities.